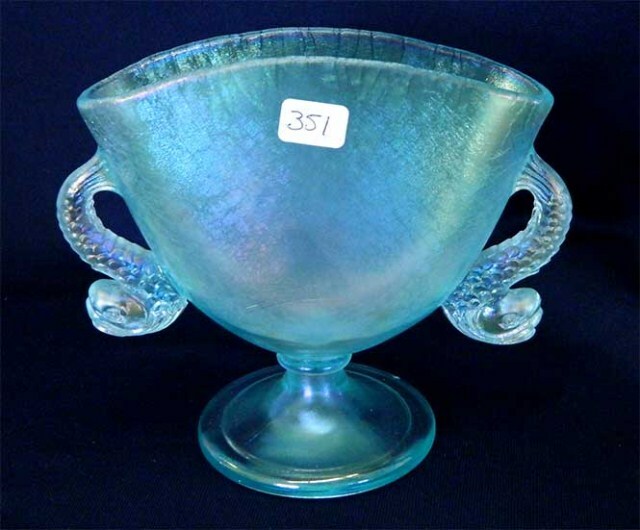 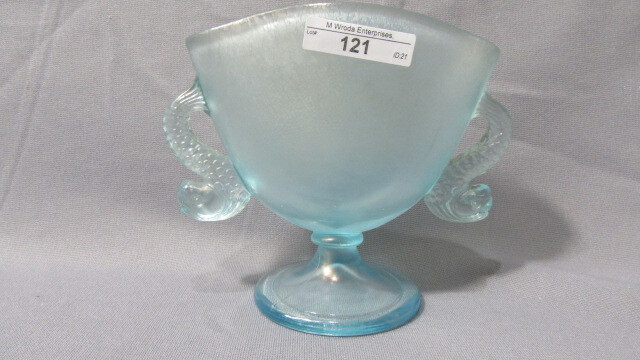 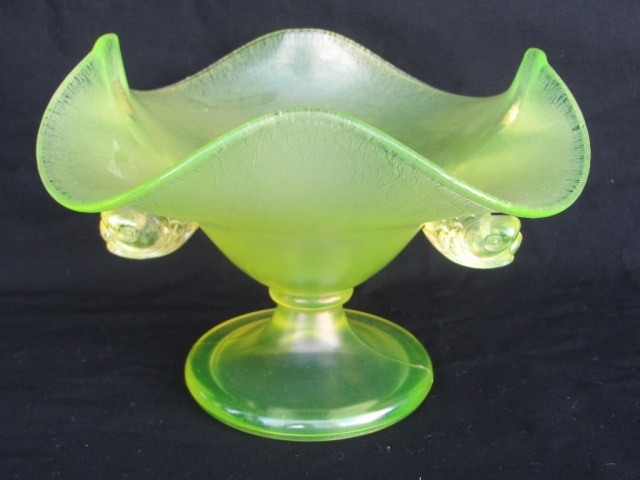 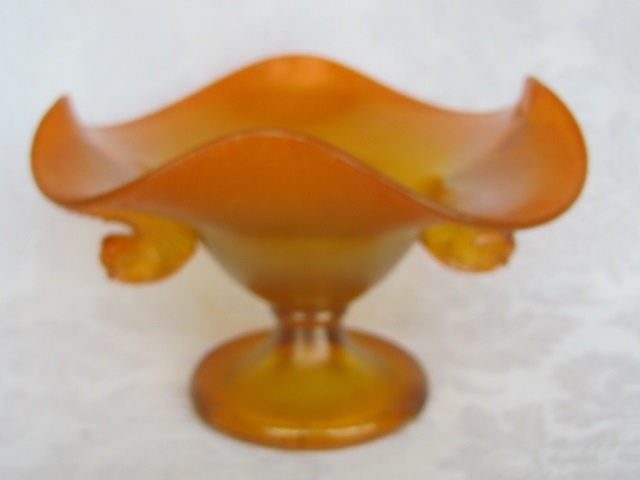 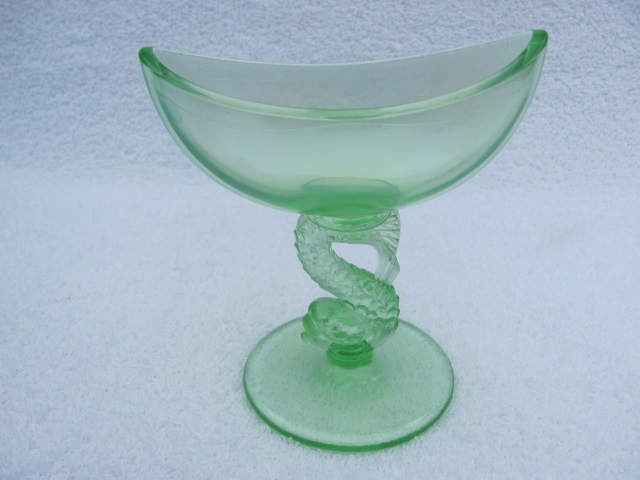 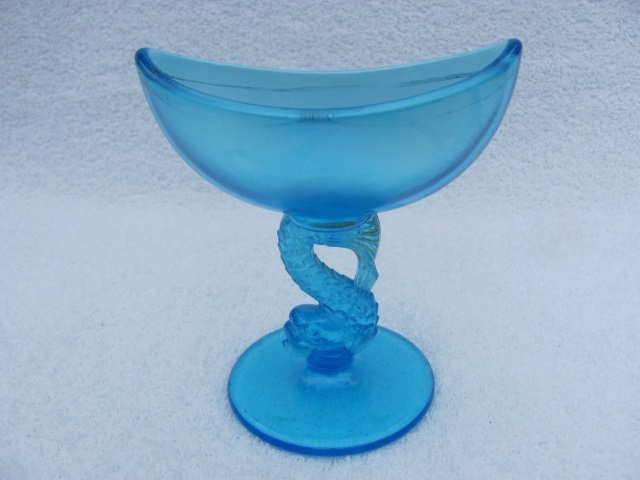 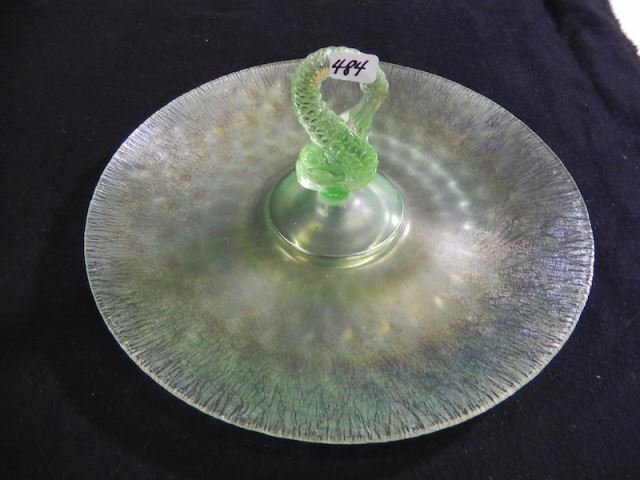 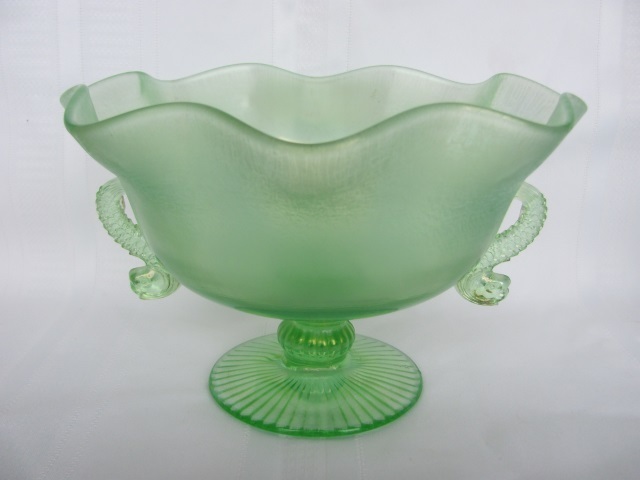 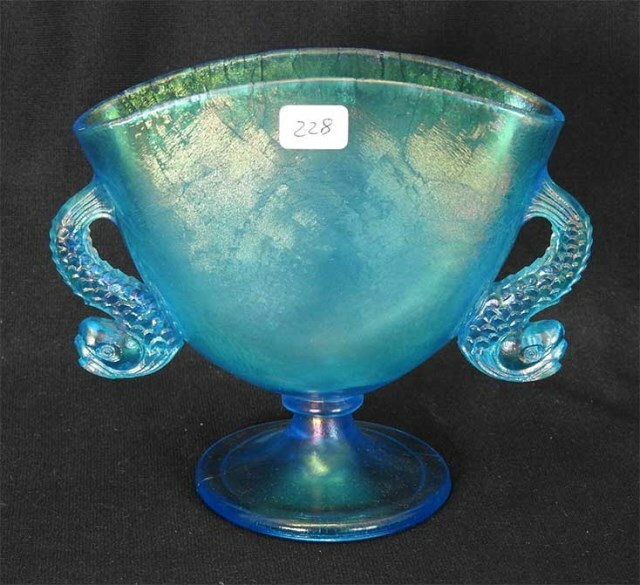 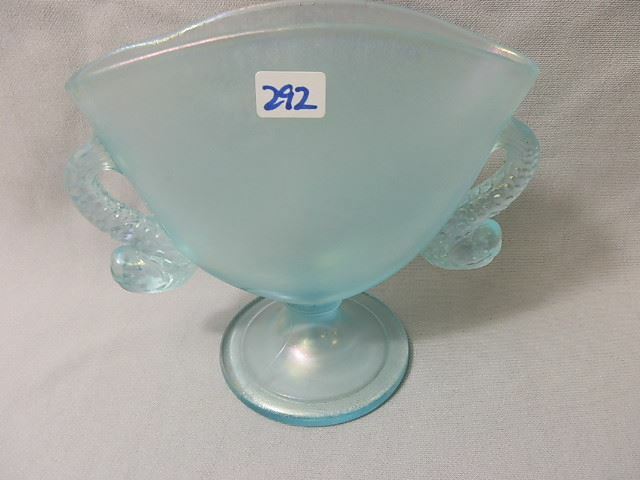 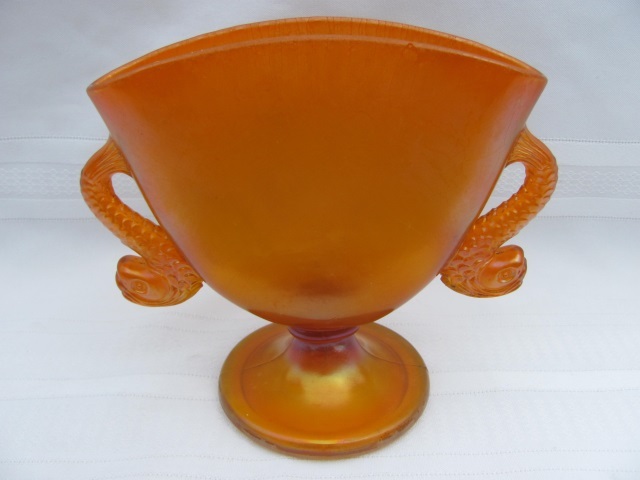 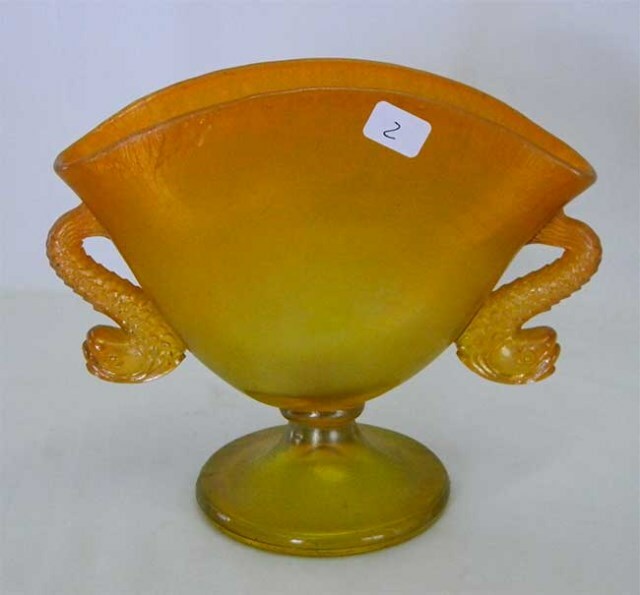 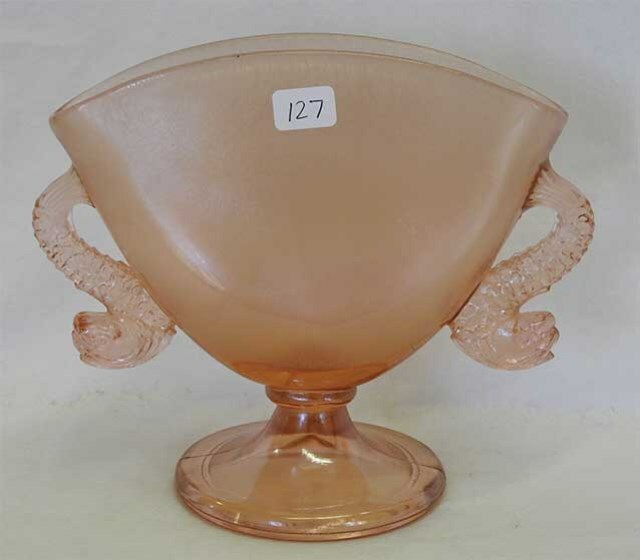 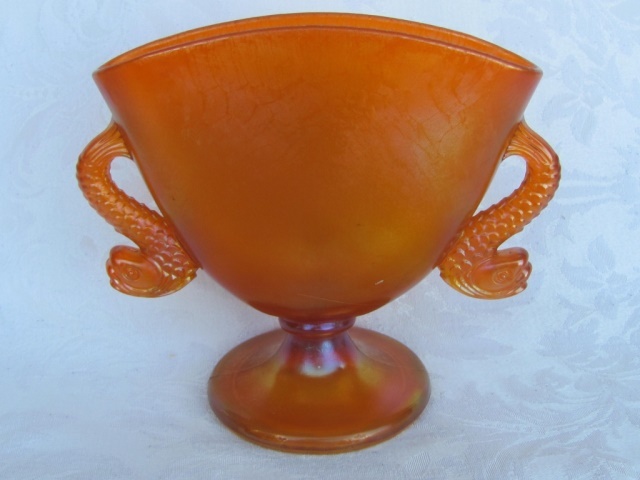 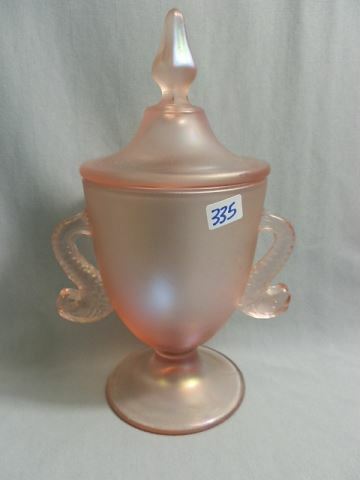 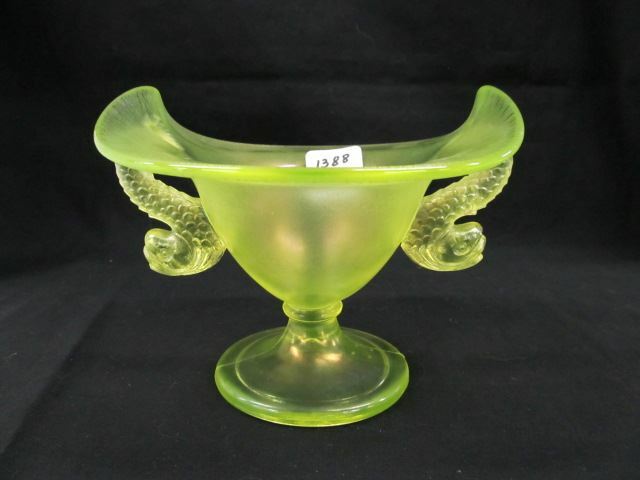 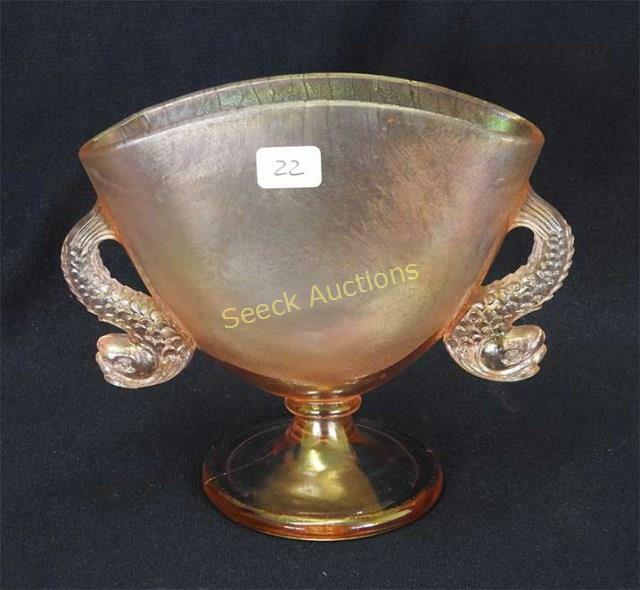 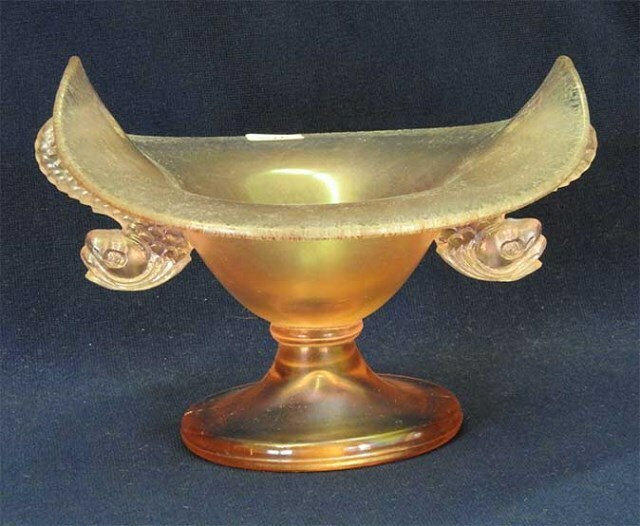 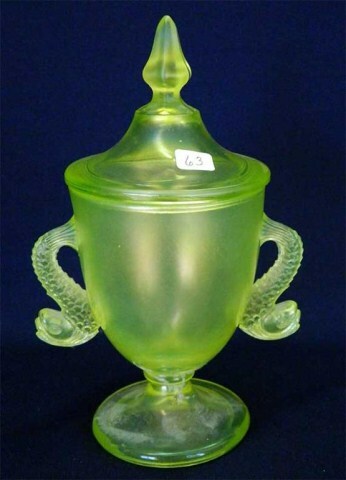 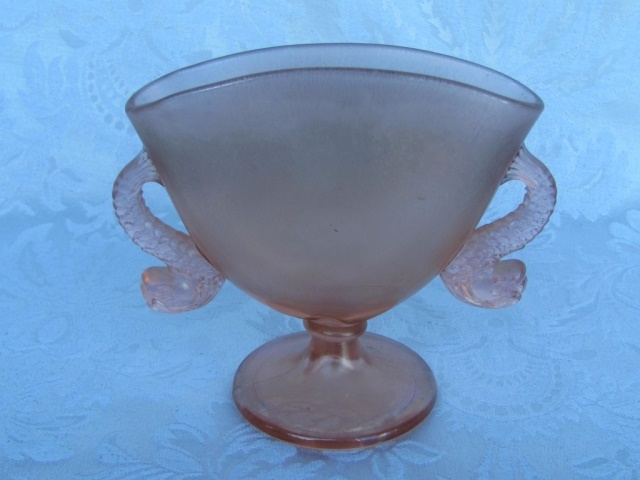 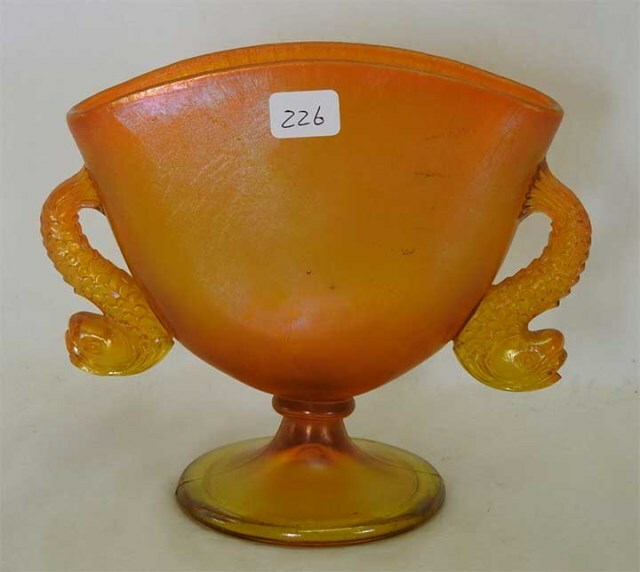 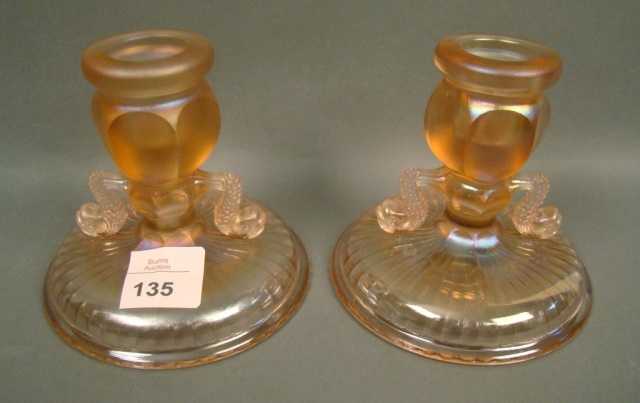 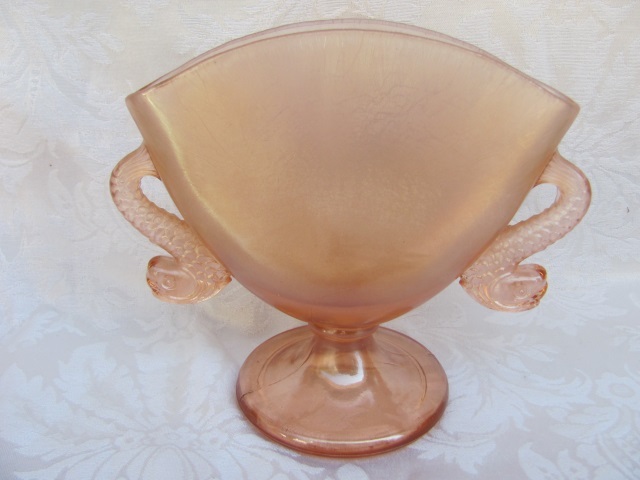 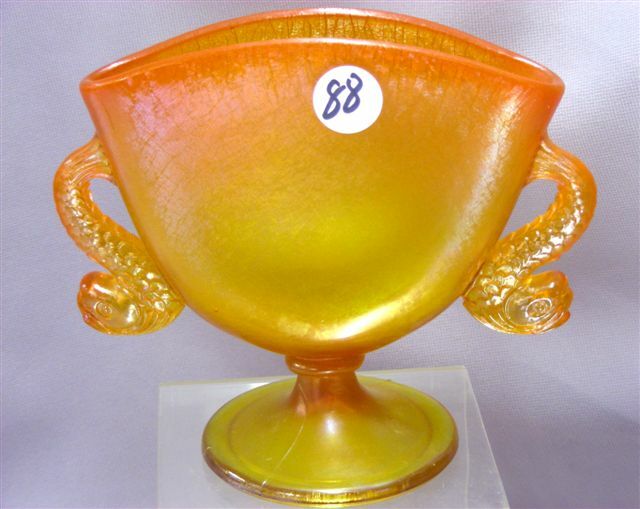 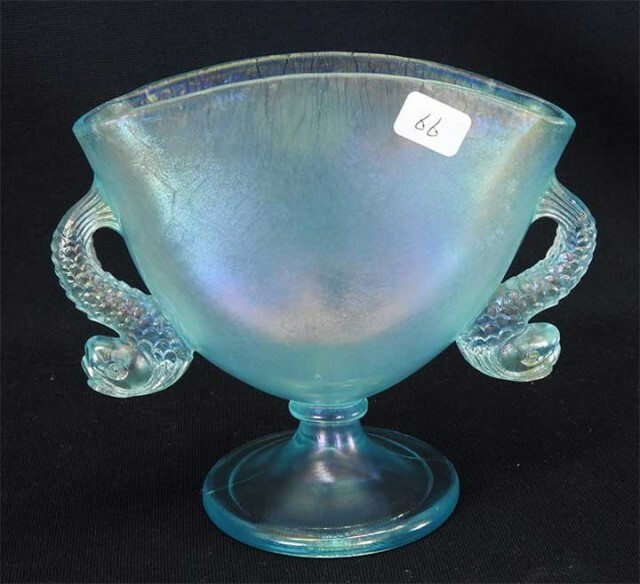 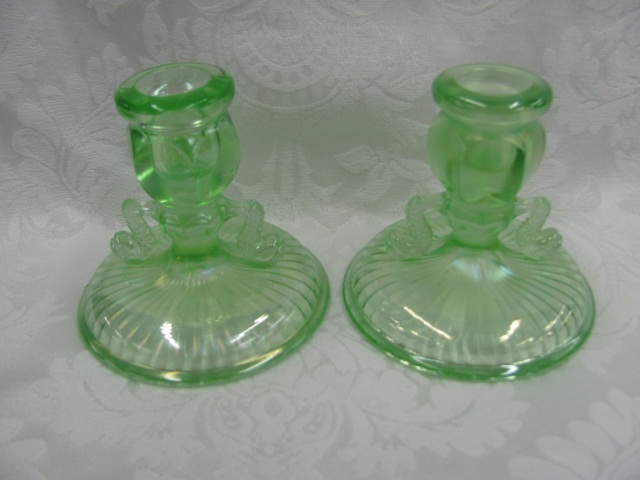 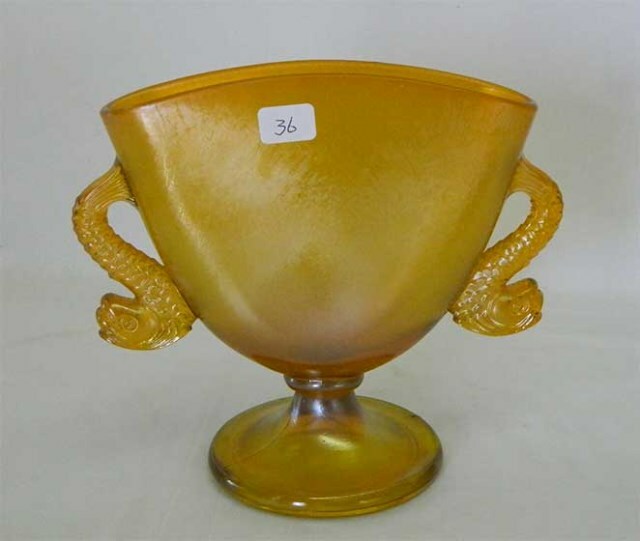 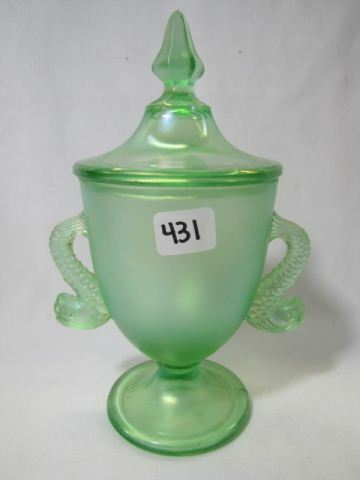 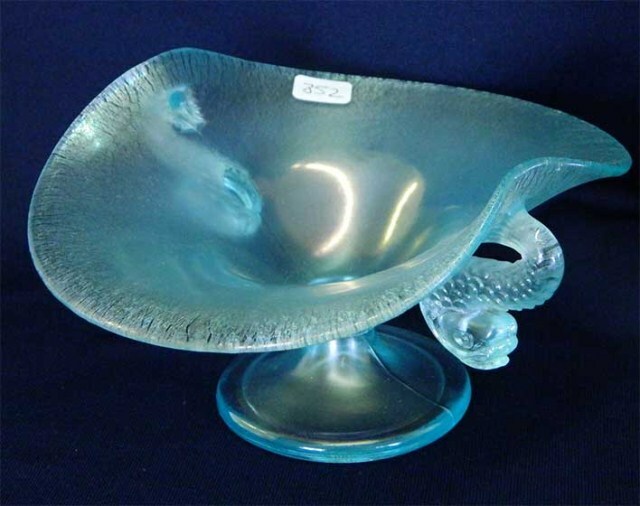 Although these items are really considered stretch glass, they often turn up in Carnival auctions. 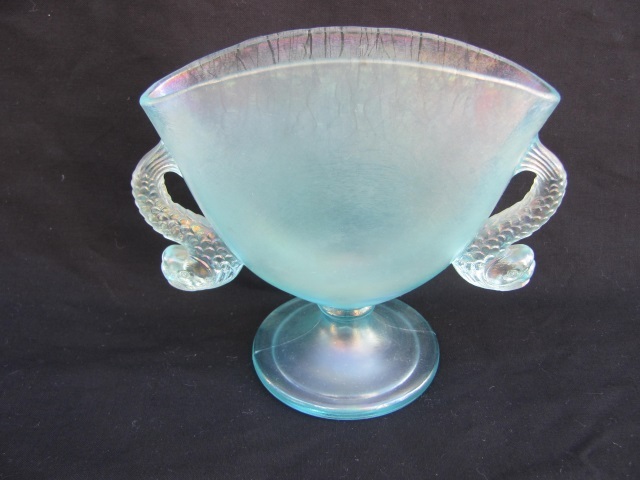 The pattern is sometimes referred to as Twin Dolphins. 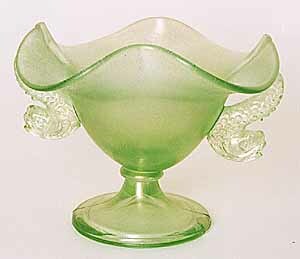 Florentine (ice green) was introduced about 1917; other colors during the 1920s. 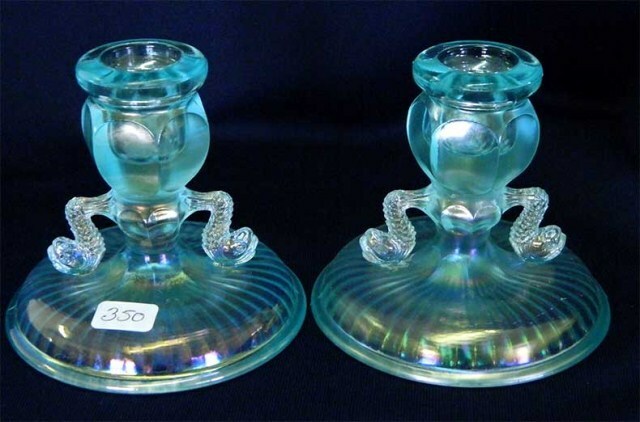 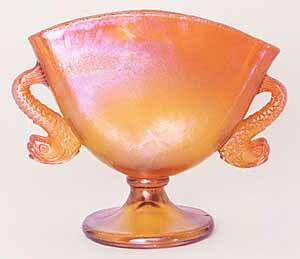 Above are the two most frequently seen shapes in Fenton's Double Dolphins pattern. 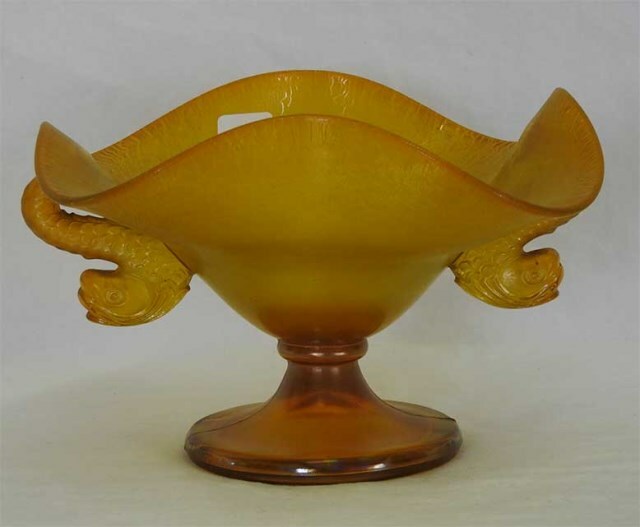 On the left is a fan vase (two sides are pulled out and the others pushed in to form a fan shape) in tangerine. 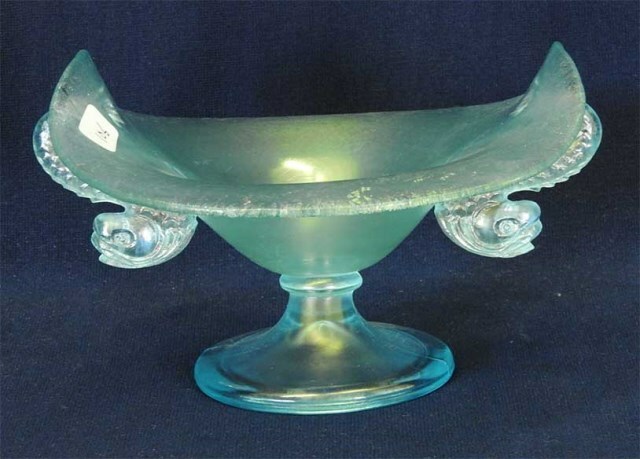 It sold for $125 in 1999. 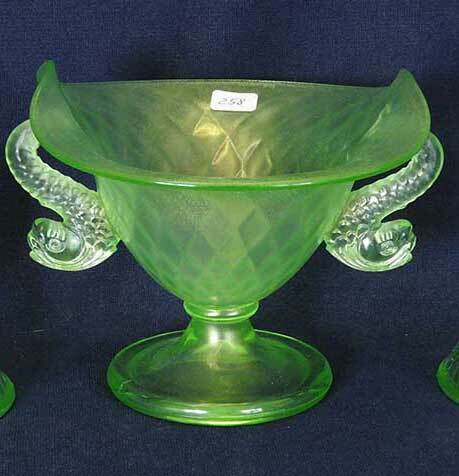 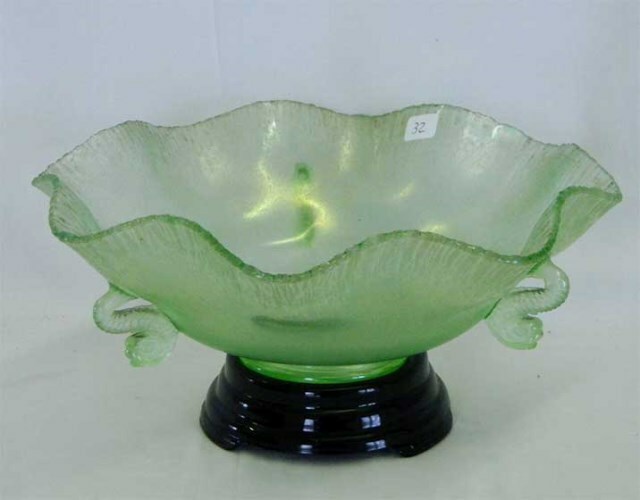 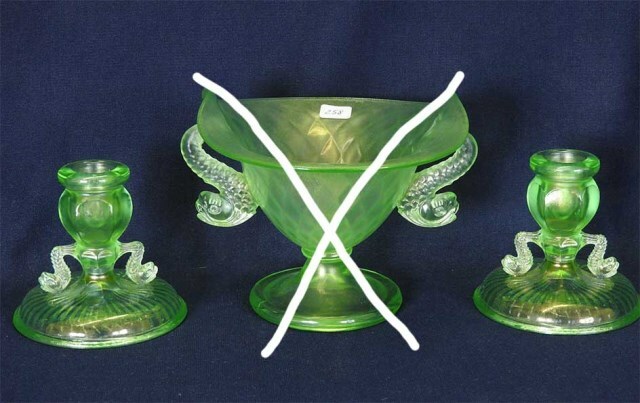 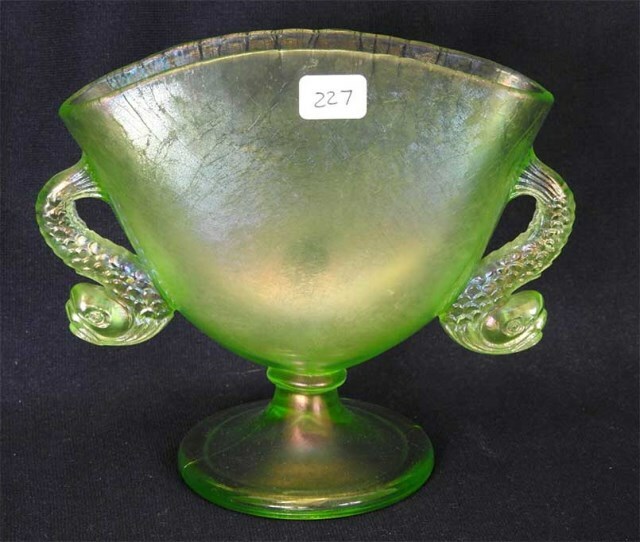 On the right is a Florentine green compote (sometimes referred to as a bowl) that sold for $95 in 2000. 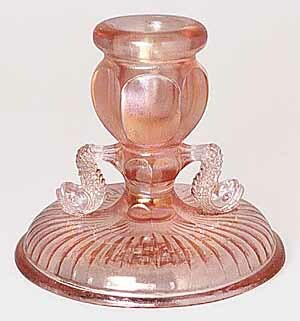 Fenton has used the mold to make reissues since 1970.